The time has finally come. For those interested, you can now go straight into Google Play and purchase the new Nexus 4 and Nexus 10 devices. We did a fun live un-boxing of both devices right here, and you can also see a beautiful gallery of both devices here. As for pricing, nothing has changed since they were first announced: $299 for the 8GB Nexus 4 and $349 for the 16GB version. 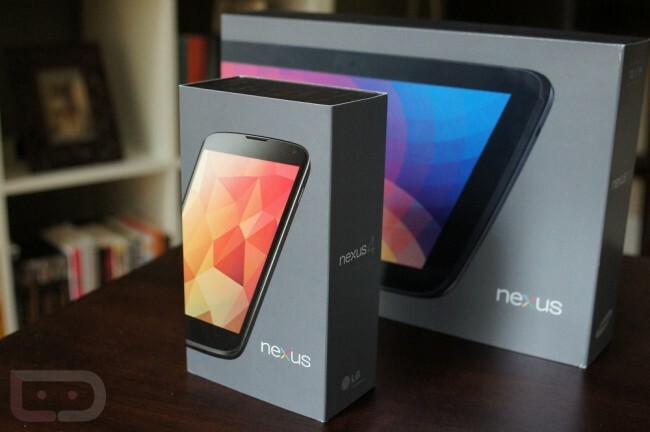 The Nexus 10 16GB will cost you $399 and the 32GB variant will run you $499. As a quick reminder, you can also pick up the HSPA+ supported Nexus 7 as well for $299. If you are deciding to pick one of these Nexus devices up, let us know which one down below! Update: Nexus 4 in both 8GB and 16GB versions has sold out.